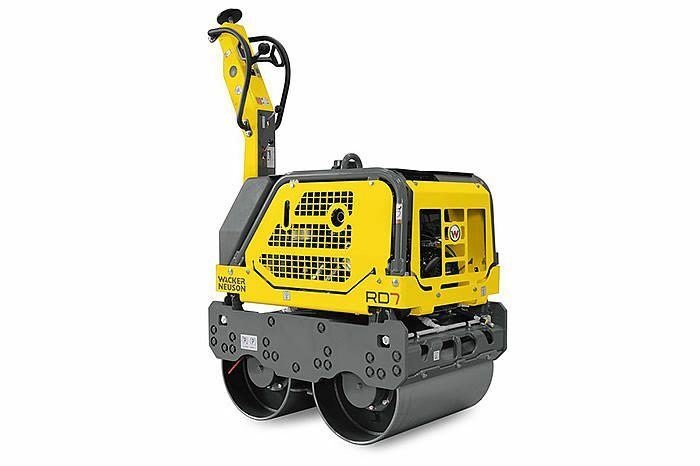 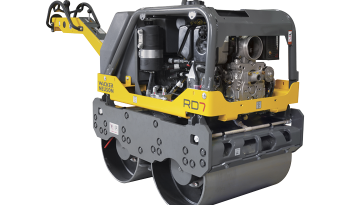 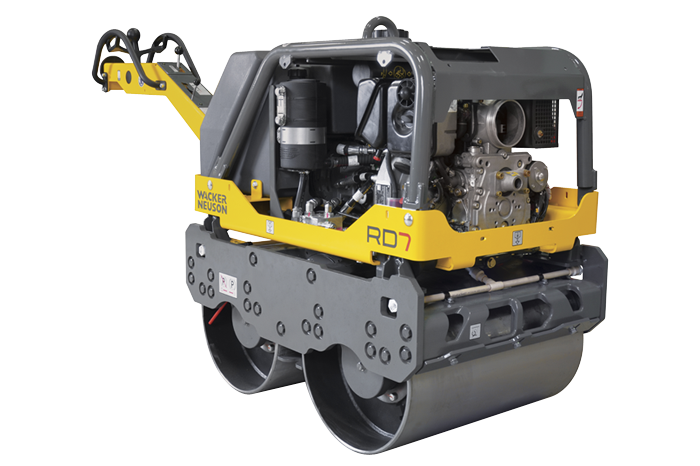 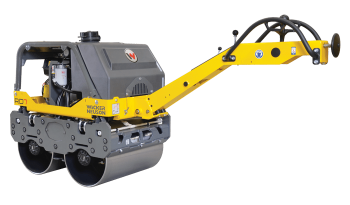 The RD 7 walk-behind double drum vibratory rollers (tandem) are easy to maneuver while performing a wide range of soil and asphalt compaction applications. 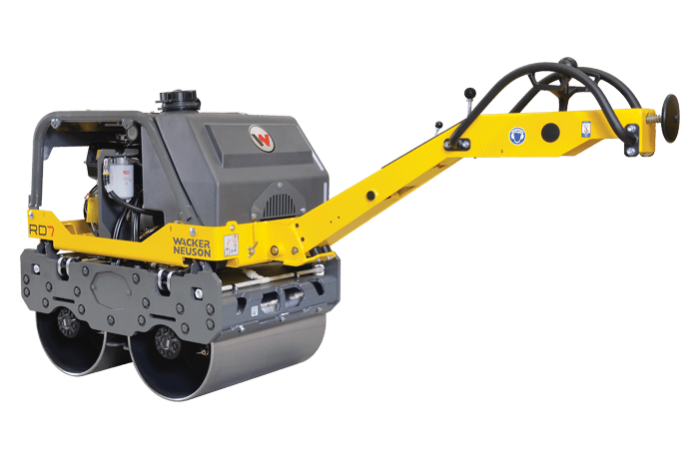 The exclusive compact design allows for tight side clearance on both sides of the roller. These versatile rollers, offer dual smooth drums with beveled edges to effectively compact asphalt and granular materials. 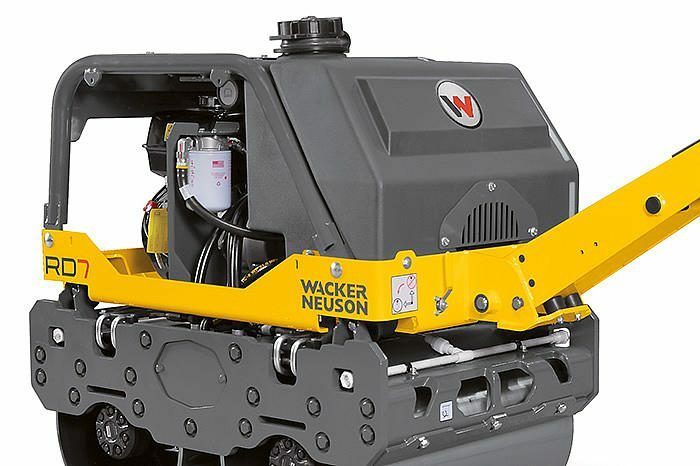 The totally hydrostatic drive provides for less maintenance and greater reliability. 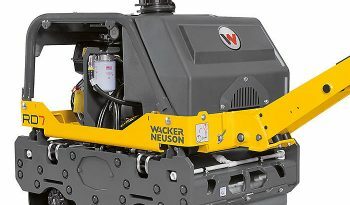 Available with the choice of gasoline or diesel engines. 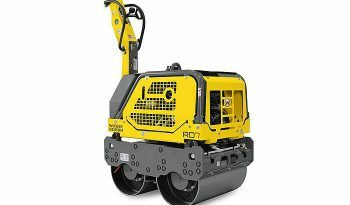 Optional protection guard kit also available.